Jillian Breithaupt ’22 was already leaning toward attending the University of Rochester for its stellar linguistics program. But what really sealed the deal was her visit to Rush Rhees Library on a campus tour. 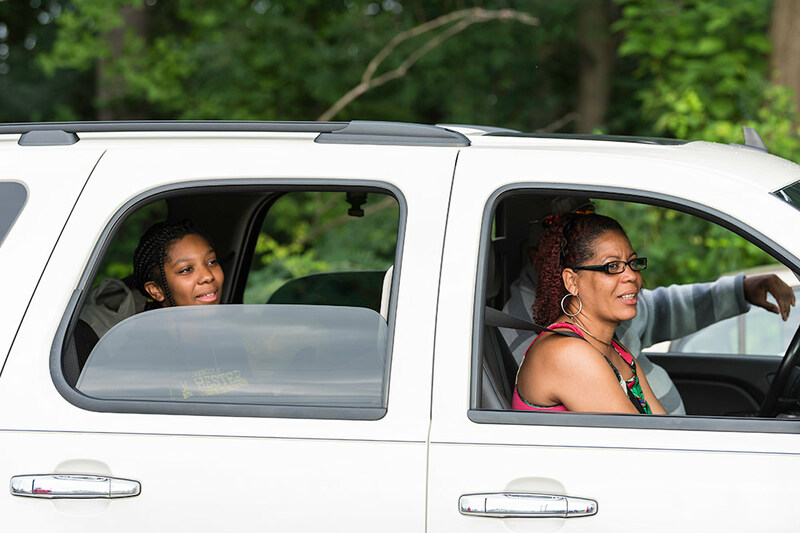 The Chapel Hill, North Carolina resident was one of nearly 800 first-year College students who moved onto the River Campus on Wednesday. 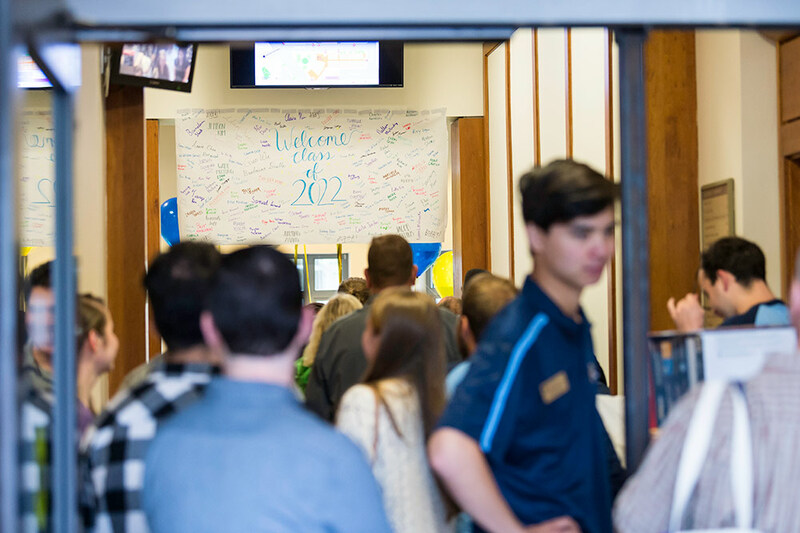 Parents, siblings, and students set up rooms, walked the campus, visited a student expo in Douglass Commons, picked up their IDs in the library, and took in the place that students will call home for the next four years. The Class of ‘22 includes 1,390 students from 47 states (plus Washington, D.C., and Puerto Rico) and 76 nations. 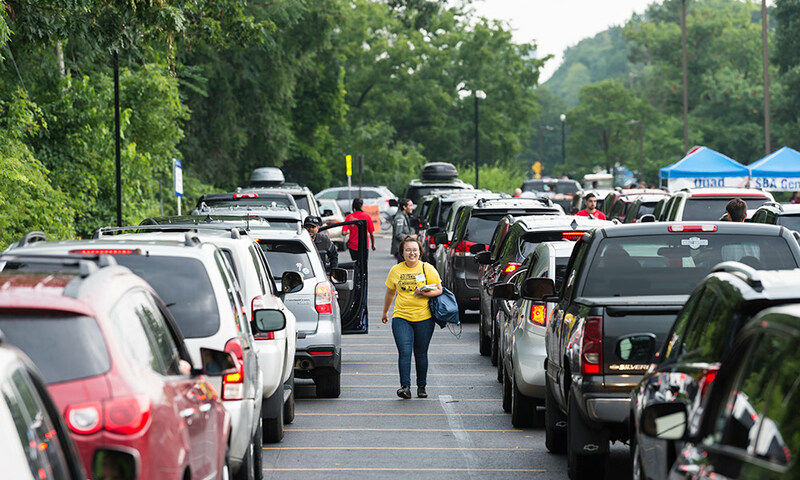 International students and fall student athletes moved in earlier this week. 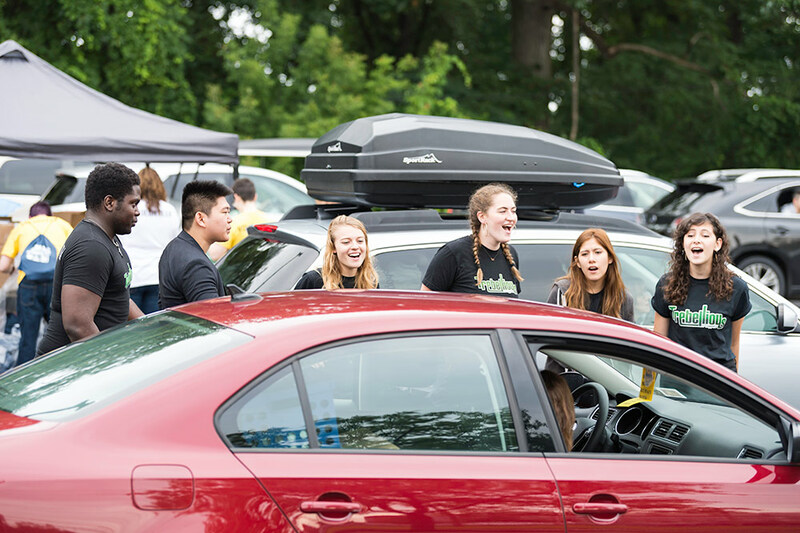 Another 120 first-year students moved in at the Eastman School of Music on Wednesday. Selim Yahia ‘95S (MBA) was pulling double duty on the River Campus, transporting two sons from New York City. Jean-Christophe Yahia ’21 is entering his sophomore year, while Philippe Yahia ’22 is a first-year student. This is the College’s most select class yet, with 29 percent admitted from more than 20,000 applicants. The top states represented are New York, Massachusetts, New Jersey, and California. The top nations are China, Vietnam, India, and Mexico. Students will engage in a variety of orientation activities leading up to the first day of classes next Wednesday, August 29. 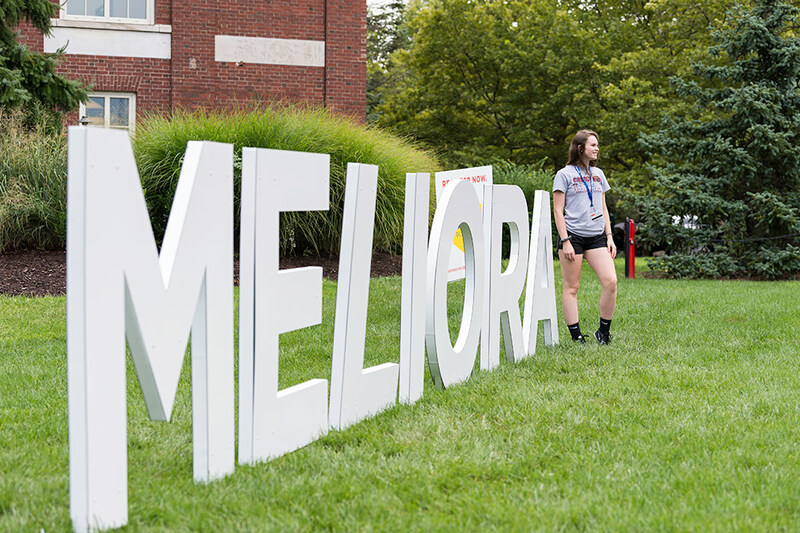 EVER BETTER: Psychology major Lauryn Wilson ’22 of Johnstown, New York, poses with Meliora letters outside Wilson Commons. STARTING AT THE BEGINNING: Eastman School of Music students queue up for their ID cards at the Student Living Center. 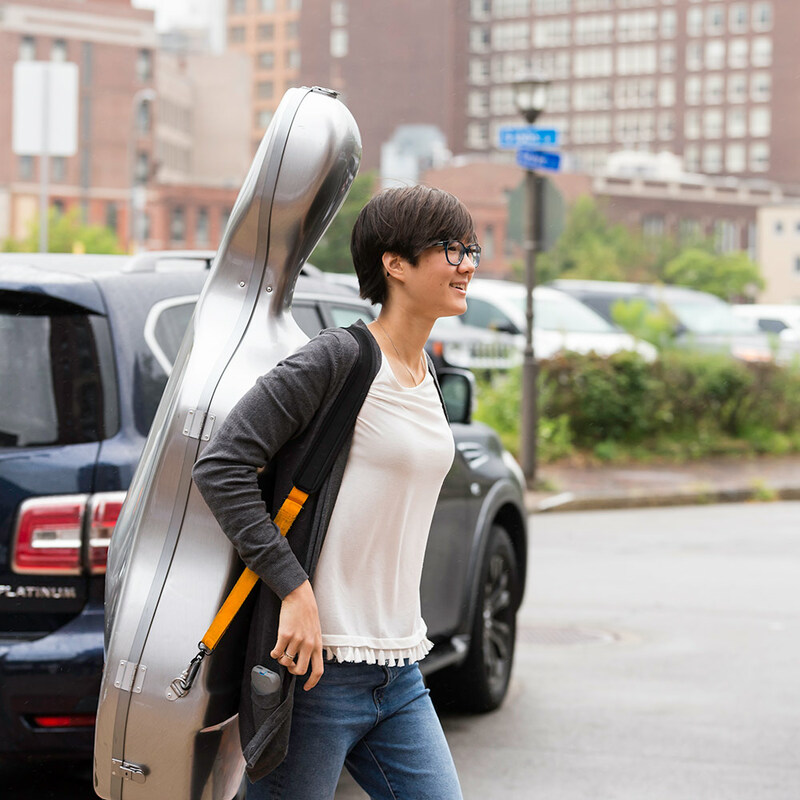 GOOD NOTE: Elise Cole ’22 , a cello student from Colorado Springs, Colorado, arrives at the Eastman School campus. 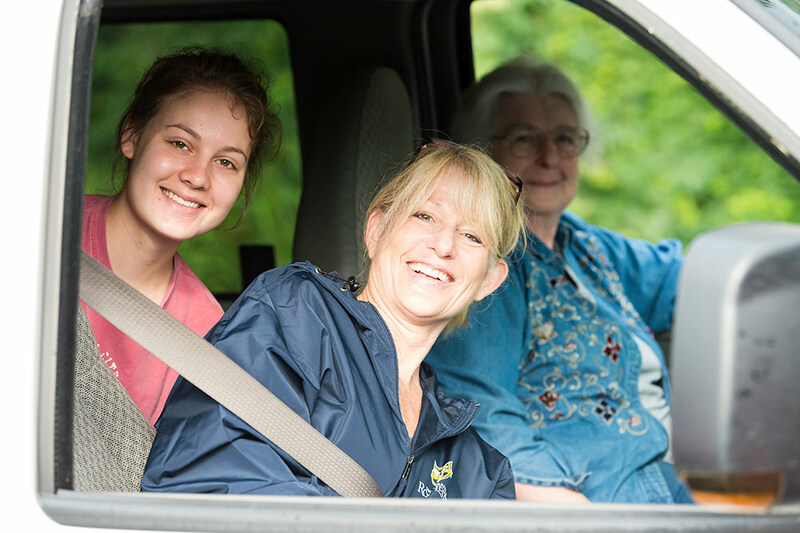 THREE GENERATIONS: From left, Caitlin Quinn ’22, her mother Deborah Jorgensen and grandmother Anita Jorgensen join the families Park Lot waiting to procede to the residence halls. Quinn plans to major in biology. ONCE MORE, WITH FEELING: Student a cappella group Trebellious entertains waiting students with numbers. DEEP IN THOUGHT: Neuroscience major Callista Zaronias ’22 of Broomfield, Colorado, prepares to move to her new campus home. 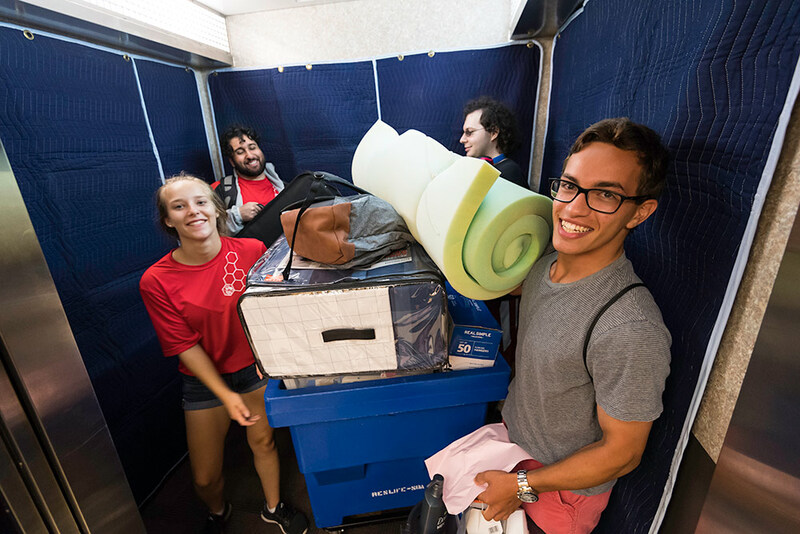 GOING UP: Engineering student Eric Elias ’22 of Westport, Connecticut, right, gets some help with his belongings from members of the D’Lions student advising group in Susan B. Anthony Hall elevator. 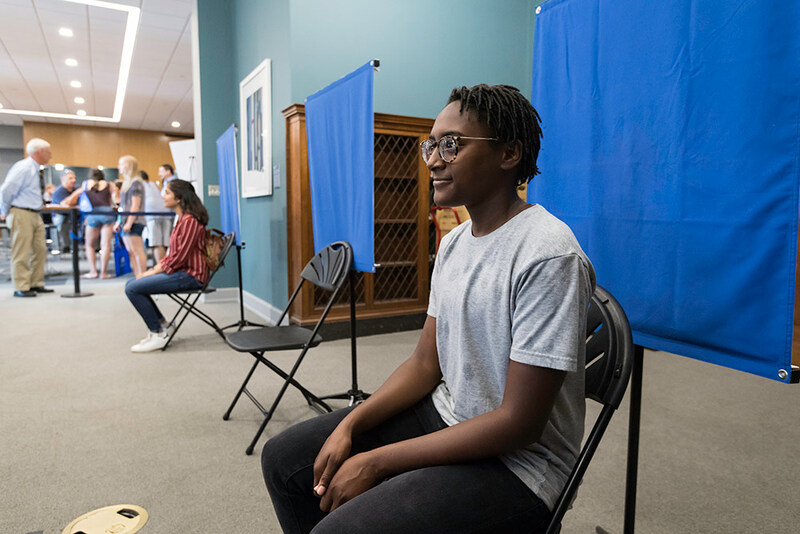 GETTING TO KNOW YOU: Political Science major Indiia Maring ’22 of Rochester, New York, sits for an ID photo in Rush Rhees Library. 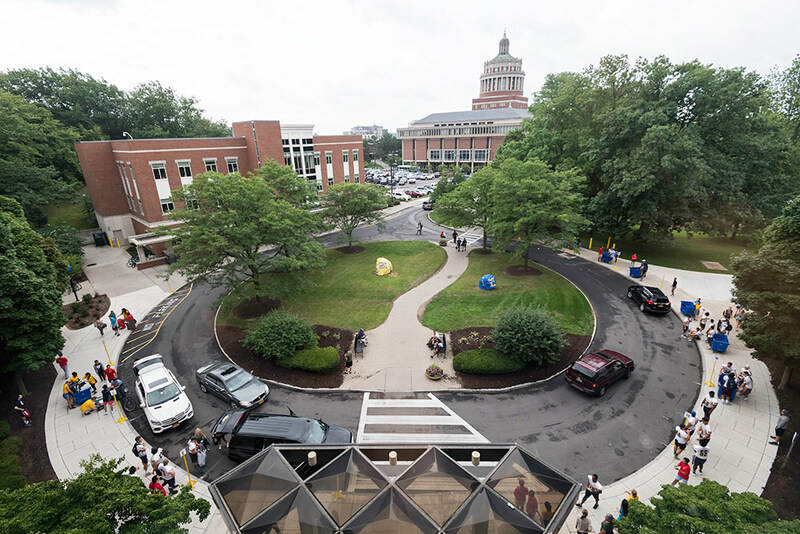 ROOM WITH A VIEW: The view from atop Susan B. Anthony Hall as first-year students arrive on River Campus.